Supreme Committee for Delivery and Legacy (SCDL) released a 46-page report concerning workers’ welfare in Qatar between April and December 2015. Particular focus, for obvious reasons, is put on safety at constructions sites. The report suggests only two foreign workers employed in World Cup projects have died in the analysed period and none of those death was directly work-related. 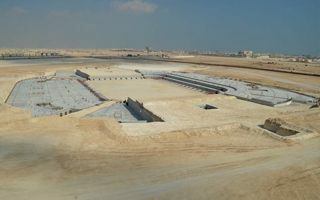 A 55-year-old driver suffered from heart attack while in his accommodation, while a 52-yo painter at Khalifa International Stadium suffered from “cardiac arrest during lunch at one of the site's dining halls” and could not be saved despite immediate efforts. Altogether the report claims 14 million man-hours were carried out without fatalities and only 6 injuries occurred within the tournament project sites. SCDL also assured that 18 companies were banned from participating in tenders after they failed to meet new worker welfare standards. The report partly addresses appeals for improvement of the working and living conditions. It also goes along pleas from, among others, Amnesty International, to provide transparent data. However, the Qatari hosts were previously proven to misrepresent their worker welfare situation, so the report may be taken with a grain of salt.